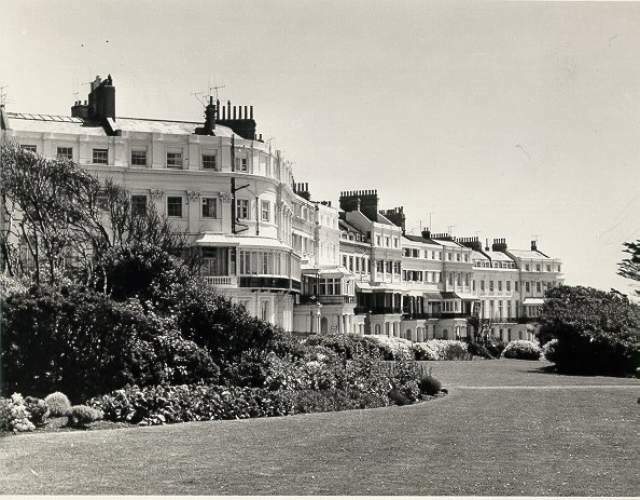 Lewes Crescent, Date unknown: Houses and gardens at the front of Lewes Crescent. 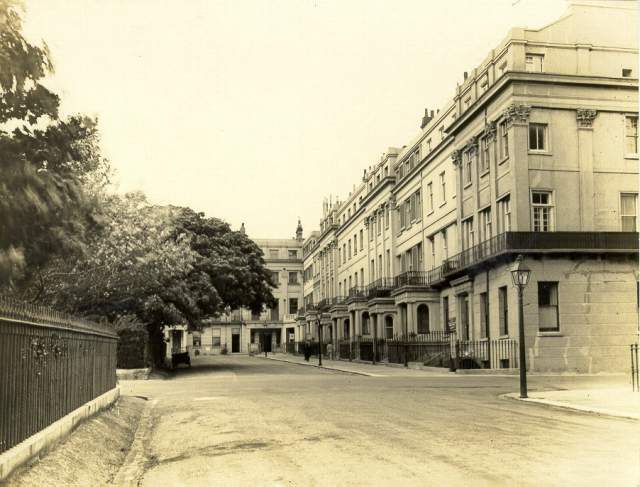 Houses in Sussex Square, c. 1935: Facades of houses on the East side of Sussex Square. 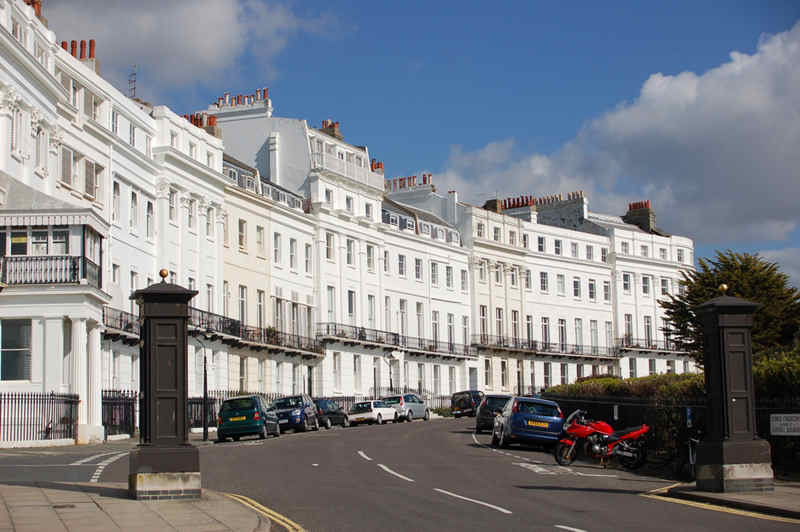 Sussex Square was built between 1823-1827 by Amon Wilds and designed by Charles Busby as part of the Kemp Town estate. 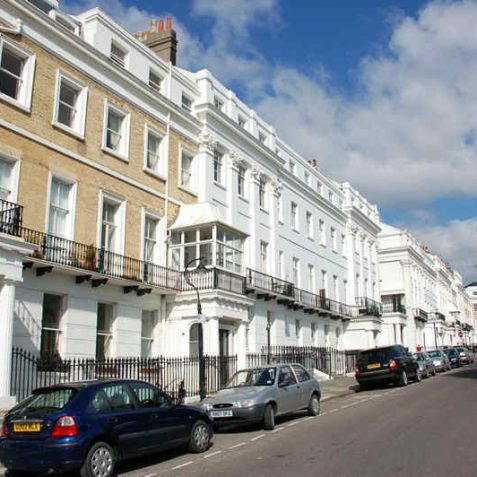 All of the houses have Doric or Ionic porches and ironwork balconies and every third house has pilasters, most of which have Corinthian capitals. 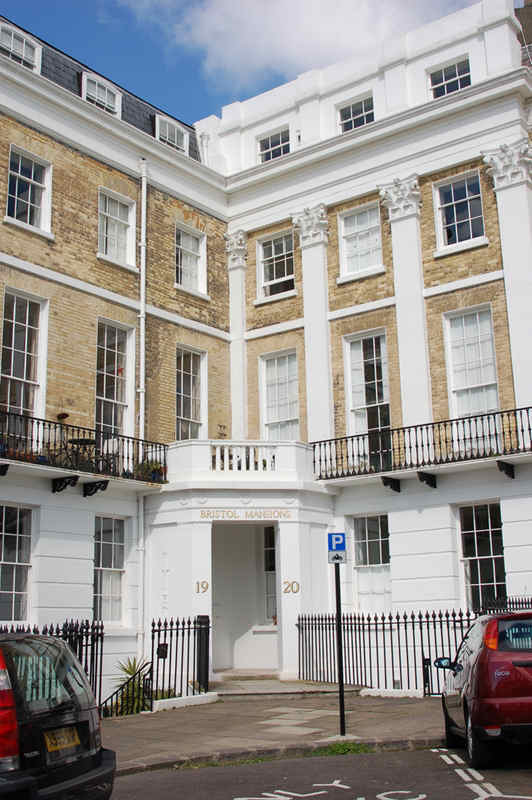 11 Sussex Square, once the home of the Revd Charles Dodgson, better known as author Lewis Carroll. 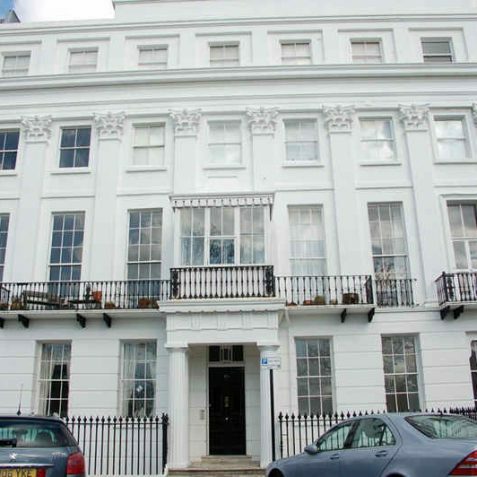 19-20 Sussex Square, once the home of the Earl of Bristol. 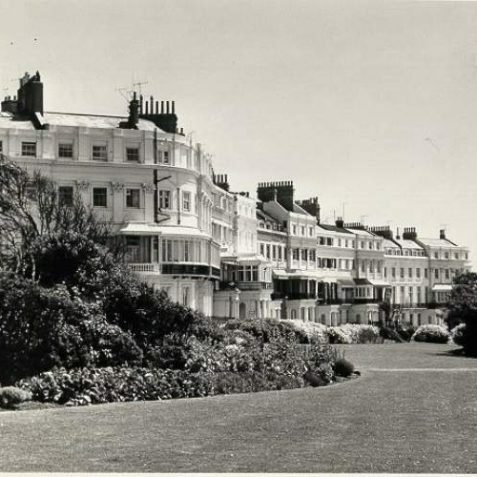 d) LEWES CRESCENT : This magnificent crescent, with a span of 840 feet, has twenty-eight four-storey houses which follow Busby’s original plan of every third house bearing giant Corinthian pilasters and iron balconies; those on the eastern side also have Doric porches and verandahs. 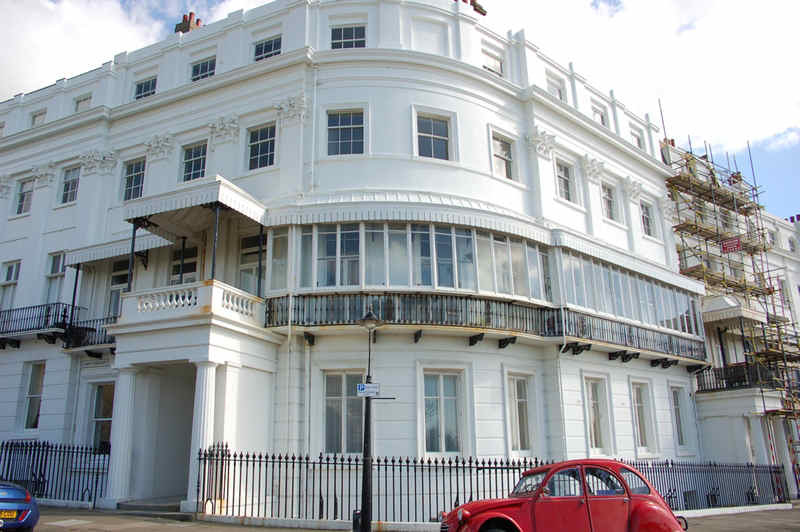 The fa..cs.ades were completed by 1827, but most houses remained shells for several years. Builder Thomas Cubitt lived at no.13 from 1846 until 1855. Nos.15-16 were used as a military hospital during the First World War. 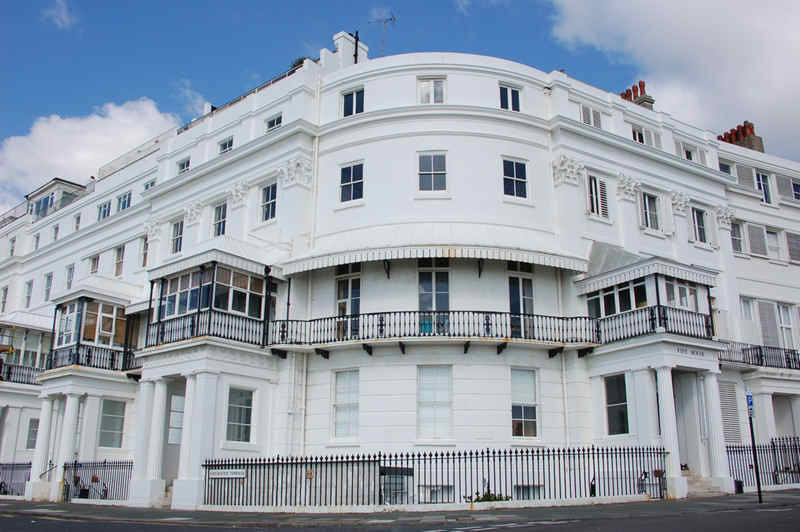 Fife House, 1 Lewes Crescent together with 14 Chichester Terrace, was the residence of the sixth Duke of Devonshire from 1828 until 1858; the embankment down to Madeira Drive in front of his house is named Duke’s Mound after him. 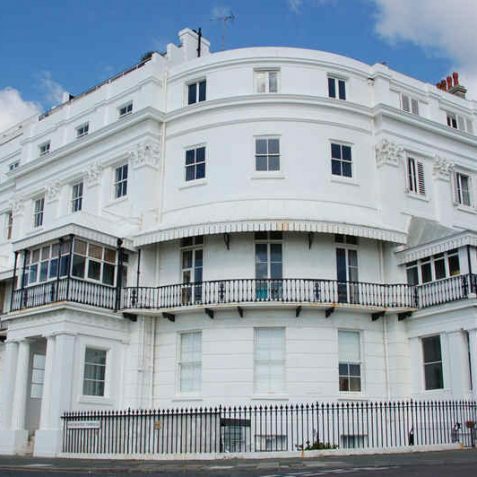 From 1896 until 1924 this house was the home of Princess Louise, daughter of Edward VII, and her husband the Duke of Fife; the King himself stayed here during his convalescence in 1908. 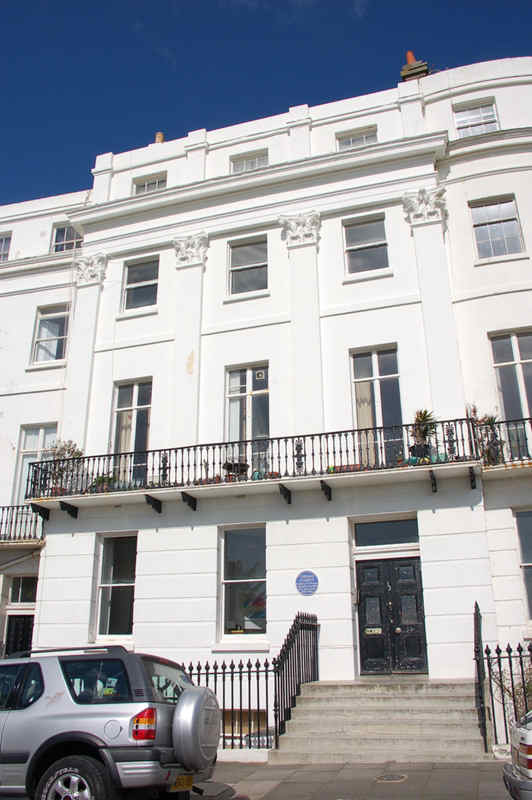 No.18 was the home of actress Anna Neagle and her producer husband Herbert Wilcox from 1953 until 1969. 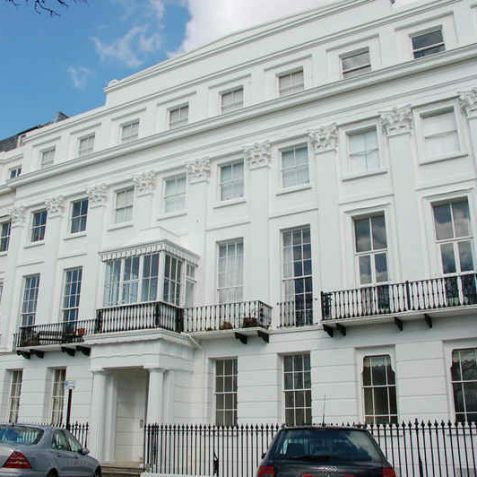 Their neighbour at no.17 for a number of years was Lord Frederick Elwyn-Jones (1909-89), a Labour M.P for nearly thirty years, a prosecutor at Nuremburg, and Lord Chancellor in the 1970s. 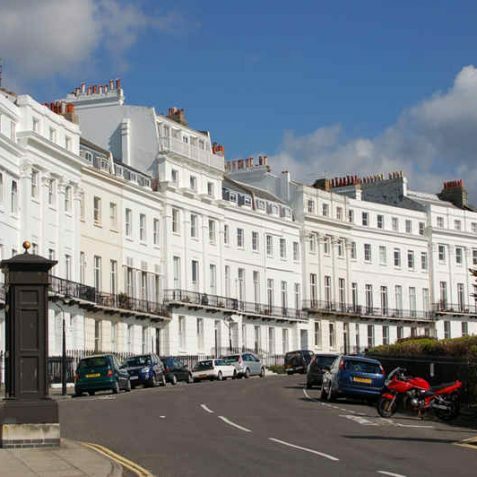 e) SUSSEX SQUARE: Measuring about 300 feet wide by 550 feet long, Sussex Square was commenced in 1823 and the fa..cs.ades were complete by 1827, but most of the fifty houses were mere skeletons which were let or sold for completion. No.25 was the first private house on the estate to be occupied, in 1826 by Philip Storey, Kemp ‘s brother-in-law. Kemp himself lived at no.22 from 1827 until 1837. 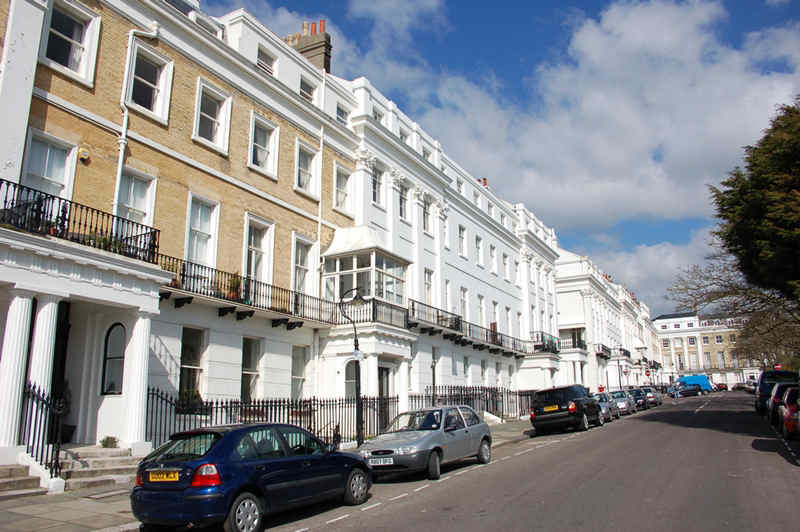 All the houses have four storeys, Doric or Ionic porches, and ironwork balconies; every third house has pilasters, mostly with Corinthian capitals, but several houses remain unstuccoed and are faced with yellow brick. The centre-piece of the square is the pedimented nos.24-27, all decorated with Corinthian pilasters. 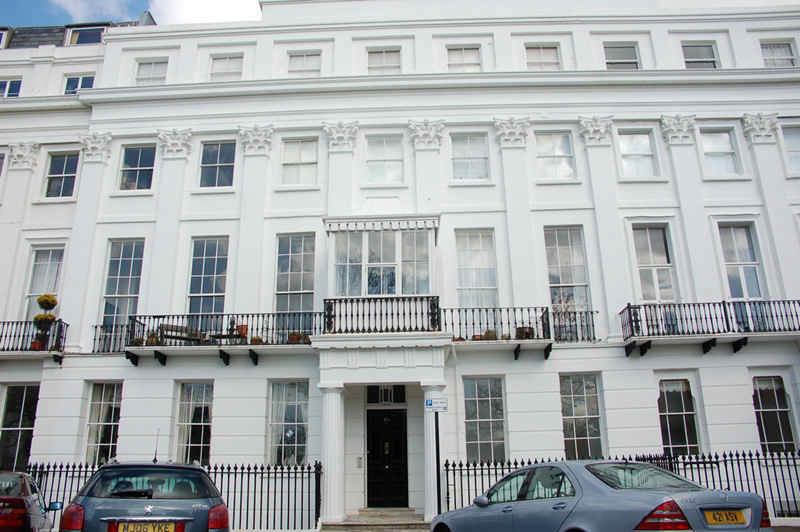 No.32 Sussex Square even has giant, fluted Ionic pilasters on its rear facade in Bristol Place. The square naturally became the residence of the rich and famous. Perhaps most famous was Revd Charles Dodgson, better known as the author Lewis Carroll, who lived at no.11 from 1874 until 1887. 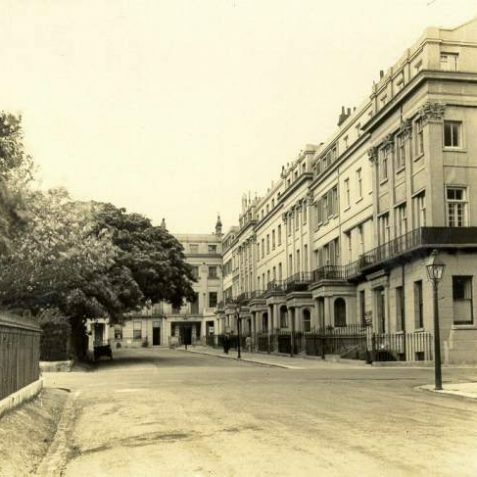 Nos.19-20 were the home of the first Marquess and fifth Earl of Bristol between 1831 and 1859. Formerly Under-Secretary for Foreign Affairs in the Addington government of 1801-4, he was created Marquess in 1826, and was an important local landowner who contributed land and finance to many local institutions. The Marquess died on 15 March 1859 and was buried in the Lewes Road Parochial Cemetery (now Woodvale) . He is commemorated by several streets in the Kemp Town area, by the Bristol public house, and by the Bristol estate . 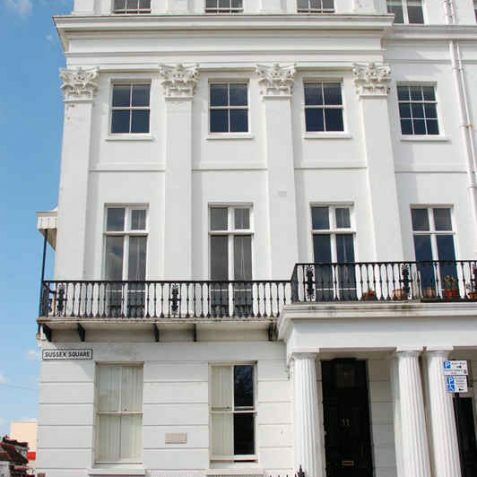 I thought you might like to know that 28 Sussex Square was owned and occupied by Henry Kendall, Consul for Peru and London banker. 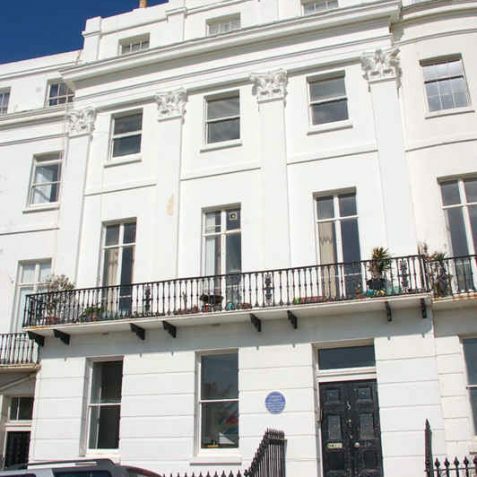 I do not know when he began to live there but it was given as his address when he wrote his will in 1870. He lived an adventurous life, travelling to and through South America as wool factor and part of the family business located at Basinghall Street in London. We have his notebook describing his travels through France and Spain on his way to Peru in 1823. Does anyone happen to have a picture of Number 28 and if so, may I use it on my pages of family history, acknowledging the photographer? Thank you and best wishes. 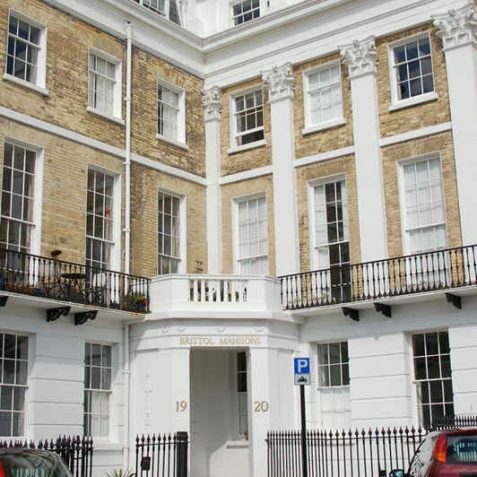 30 Sussex Square was a Ladies’ School in 1878 Post Office Directory and 1882 Kelly’s Directory. 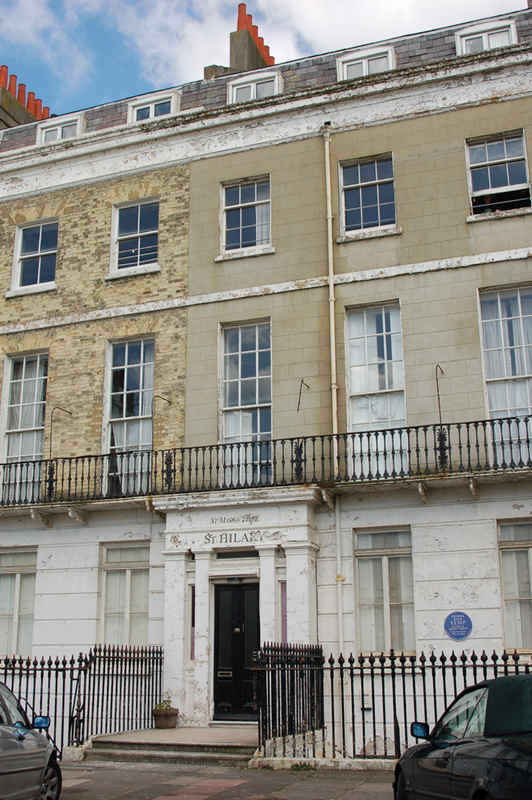 The principal was Miss Charlotte Lindsay Duncan, born about 1830 in Guernsey, Channel Islands. In the April 1881 UK census, she had 14 girl boarders and 3 governesses. Beatrice Wallis, age 17, was a domestic servant / housemaid in the school. Beatrice married Silas Holford at St Peter’s Church in July 1882. I believe they met when he delivered milk to the school from his family farm. They lived at New House Farm (now East Brighton Park caravan site) and raised 13 children, the youngest, Norman, was my grandfather. 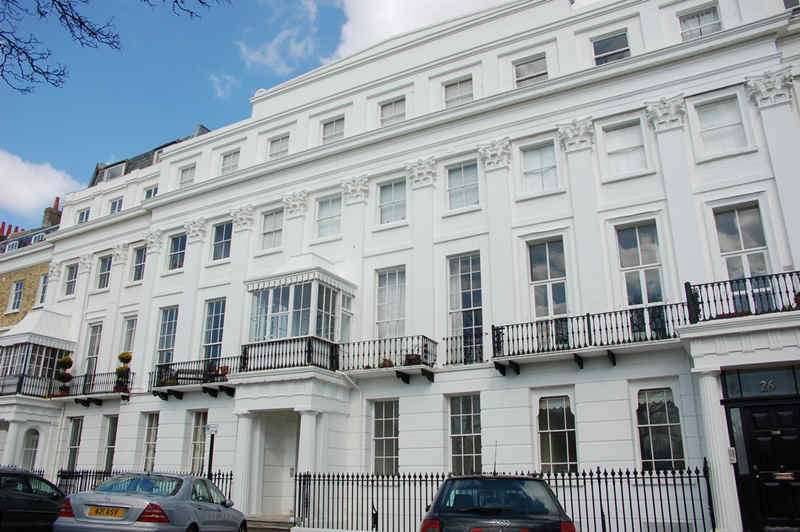 I have resided at 34 Bristol Gardens for the last 18 years. 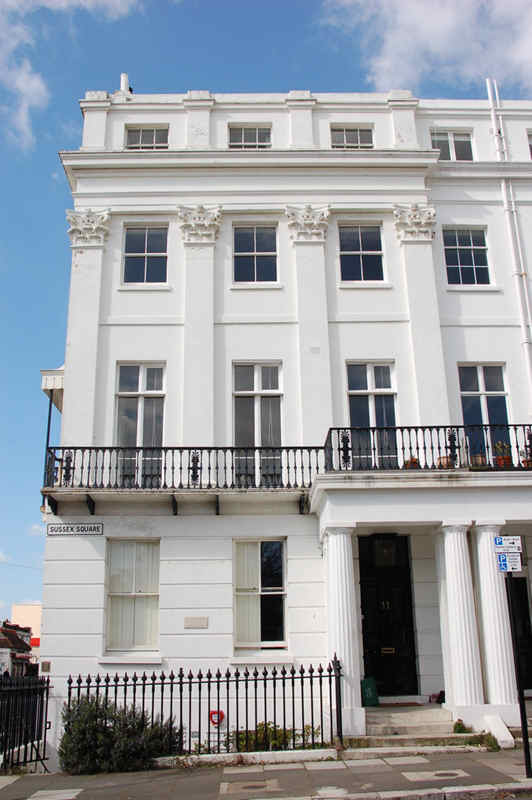 This house was built in 1824 and is part of the original Sussex Square freehold abutting No.31 Sussex Square to the rear. 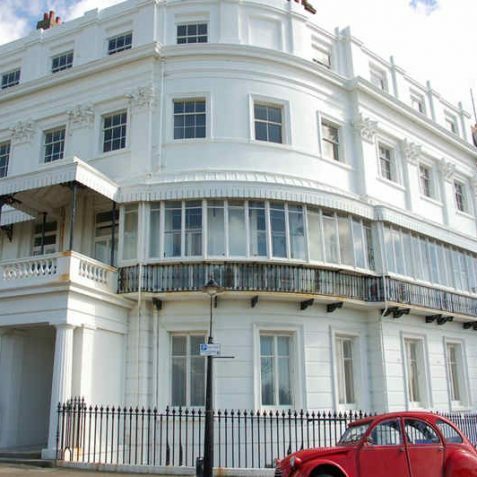 It is my understanding that this was a servants’ house for Sussex Square. It appears that there may have been direct access between 31 Sussex Square and my house. My house would have looked north onto the open downland behind the newly built Sussex Square. And the extensive underground cellars under my house I would suggest may have taken deliveries (coal?) on behalf of the Sussex Square residences. While dividing watchmen like security on the open rear countryside. 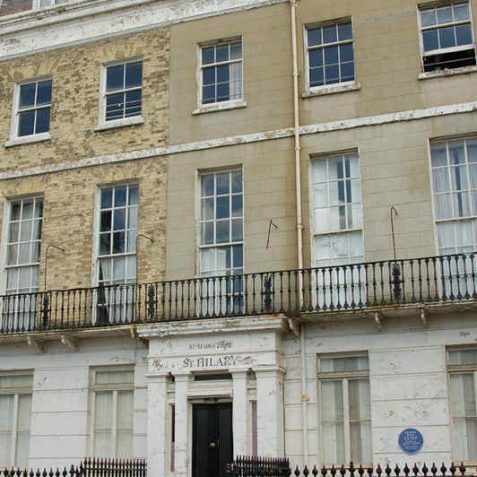 I’m honoured to be living in one of Kemp Town’s few remaining whole original Georgian houses.